Understanding the history and bloodline of purebred pups are crucial to the health and training of a dog. While breeders and research will help give you a clue of what to expect, you will still need to dig deeper into the bloodline of the canine breed you plan to adopt. The bloodline of a puppy involves the family history, health conditions, breed, behavior, and showcase potential that might interest you. In this guide, we will take a closer look into the factors that are considered in the bloodline of canine breeds. When learn about their bloodline, you will understand their ancestor breed. It will describe the story of where the breed started, and the type of traits you can expect to see with the dog. It is their ancestors that play a strong role in their genetic features. In fact, you will find that purebred dogs will indicate the features from previous generations, their personality trainings, and show potential. Breeders who specialize in purebred pups always look for the best traits and features in dogs they want to breed their next litter with. 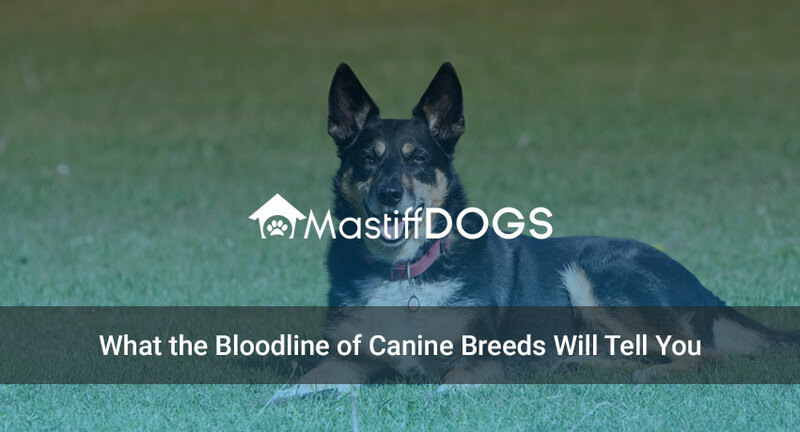 The bloodline will help them learn what they need to know about the dogs, which includes any undesired traits and defections that might cause them to reconsider breeding. For any breeder, they must do their research to follow the bloodline of the breed. You will then be able to determine the potential health issues, genetic disorders, and behavioral problems that might be expected from the breed. This will help prepare you for your purebred dog and consider is it needed to eliminate through proper breeding. Generally, purebred follow the similar personalities of their breed. These type of behavioral traits are what influences the genetics as breeders will need to match the dogs according to their certain temperaments and behavioral traits. Breeders will be able to help you understand the expected condition and personality of the pet just by understanding the dog parents. You might even be surprised to learn that more of your pup’s behavior and personality starts from the bloodline. Looking into the breed’s bloodline will help you determine the potential of the dog’s competing and show skills. If the puppy you plan to purchase already comes from a line of Champions, you will notice the countless titles they have achieved throughout their bloodline. This itself will give you a better idea on the potential of the puppy. Before you decide to adopt your pet, you will need to do your research and find everything there is to know about the bloodline. Make this a priority as looks aren’t everything. Be sure to read their dog’s history, understand their breeding traits, and how to provide the best care for them.